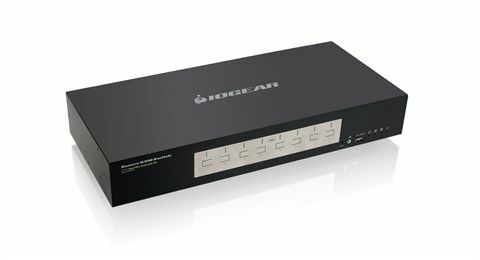 IOGEAR's 8-Port Dual View Dual-Link DVI Secure KVM Switch is NIAP-certified and compliant with PP3.0 (Protection Profile for Peripheral Sharing Switch version 3.0) requirements, satisfying the latest security requisites set by the U.S. Department of Defense for peripheral sharing switches. 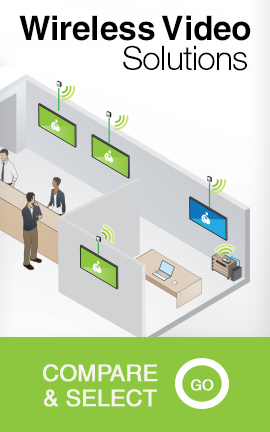 Common criteria compliance ensures maximum information security while sharing a single set of approved HIDs - keyboards, mice, speakers, CAC readers, and Microsoft Biometric Readers - between multiple computers. 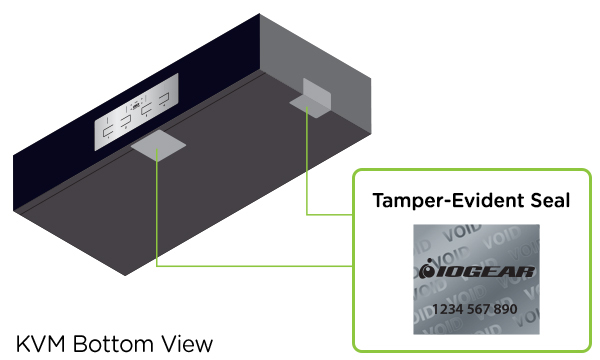 Conformity with Protection Profile v3.0 certifies that non-approved USB peripherals will be rejected and cannot be connected to the Secure KVM, providing high-level security, protection, and data safekeeping. The IOGEAR Secure KVM Switch's hardware security is comprised of tamper-evident seals, active chassis intrusion detection, and tamper-proof hardware. 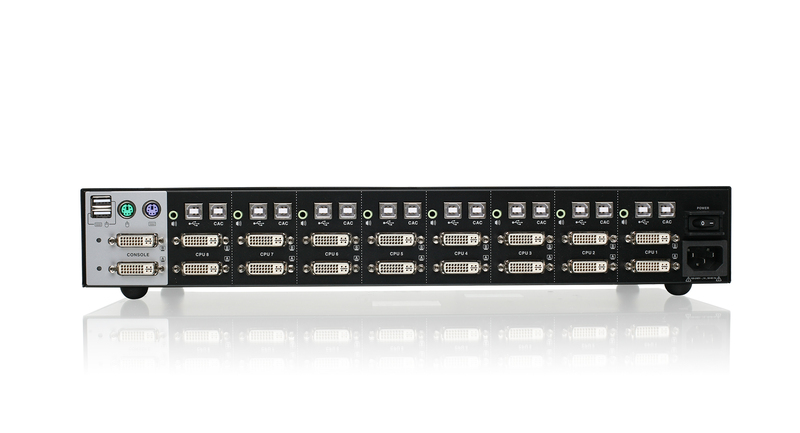 Embedded software security allows administrators to grant controlled USB port access for keyboards, mice and other devices while ignoring commands from non-HIDs when switching between ports. 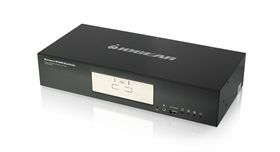 The onboard software restricts mouse and hotkey commands while clearing the keyboard's buffer when switching ports while ensuring data travels isolated on each port preventing exposure. With the combination of physical and software security, IOGEAR Secure KVM series consolidates multiple workstations with varying security classification levels using one keyboard, monitor, and mouse (KVM) console. 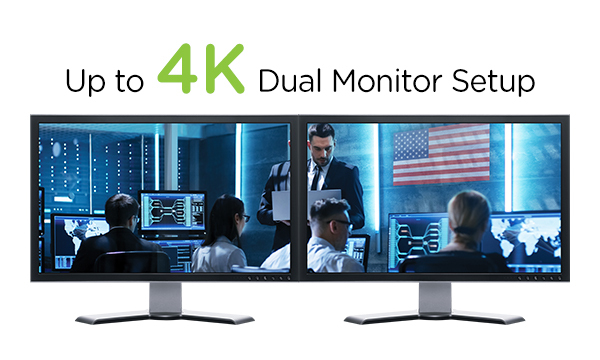 The 8-Port Dual View Dual-Link DVI Secure KVM supports dual monitors and superior HD resolutions up to 3840 x 2160 @ 30Hz. 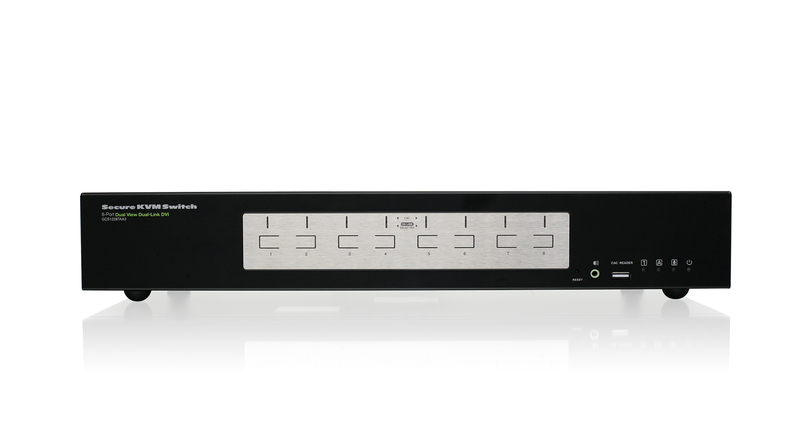 For a variety of single or dual-view display connections including DVI, HDMI and DisplayPort interfaces, see the Secure KVM selector.